A Penangite, Tan Teow Bok was educated in St Xavier’s Institution and was an outstanding student and a Queen’s Scholar. He did exceptionally well in Mathematics and was a gifted linguist, having mastered the French language. 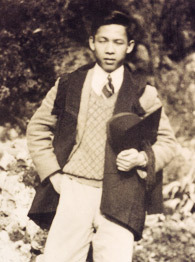 Tan Teow Bok read law at Oxford and was admitted to both the English and Malaysian Bars. After being called to the Bar, he was appointed as a Magistrate in Seremban. In 1938, he was invited by Yong Shook Lin to join the partnership where he was to oversee conveyancing matters. During his distinguished legal career, he was known as one of the best draftsmen in the country, known for clear, precise and concise language. 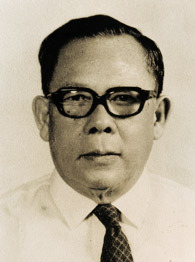 He was reputed to have drafted the first debenture in Malaysia. Michael Wong, the firm’s former consultant remembers,”He was able to identify legal issues without being cluttered by other issues, thereby helping one to solve the problems at hand. Bok was remembered for his clarity of mind and brevity of expression”. Mrs Leong, an ex-member of staff recollects, “Mr Bok was like a father, he was also a very generous man. He paid the staff salaries twice a month. He was a good paymaster too and would also settle the bills of his suppliers twice a month. He used to say, “We mustn’t owe people money”. After his retirement in 1981, Mr Bok continued to come to the office every day until he passed away in 1994, after a career spanning 62 years.